The Woolnough Trail, Great Ampthill Park at AmpthillWalking RouteAmpthill Park has been famous for its ancient trees since the Middle Ages. This walk will introduce you to some of the surviving trees. 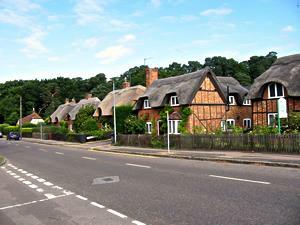 Ampthill is situated in mid-Bedfordshire, approximately 8 miles south of Bedford on the A507. This circular walk starts and finishes by the tennis courts in Ampthill Park. Ampthill Park has been famous for its ancient trees since the Middle Ages. This walk will introduce you to some of the surviving trees.